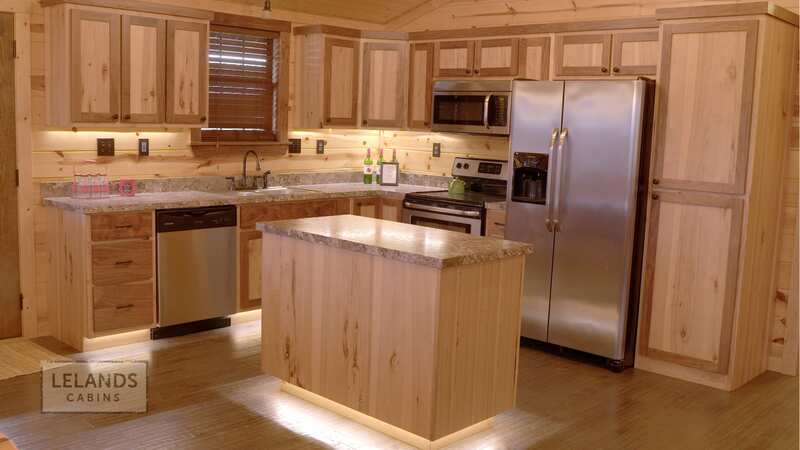 The cabinetry you’ll find in Leland’s cabins combines classic, time-tested designs and construction methods with contemporary fabrication techniques to ensure a timeless and comfortable look that will stay durable and hassle free for years to come. 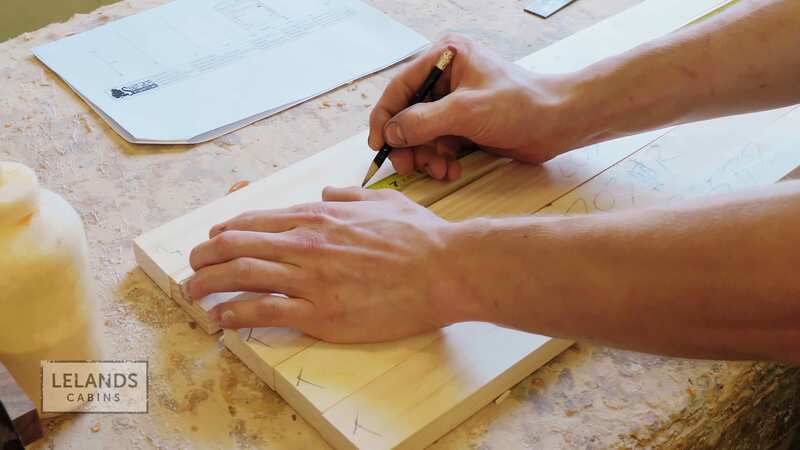 Our craftsman begins every cabinet as a CAD file which is used to directly machine-cut the wood, allowing for an extremely accurate fabrication of the building blocks that go into each cabinet. The wood, either hickory, knotty pine, or a mix of knotty hickory and walnut, is then planed and cut to the exact size, shape and angle necessary for its role in the final product. Because our craftsman works using joining techniques, each piece of wood must be a perfect fit for every other. These joining techniques are the cornerstone of all of the cabinets that you’ll find in our cabins. Joining techniques are an extremely ancient way to create furniture. Mortise and tennon joints, the same used by our craftsman, were even used in the building of the tabernacle by the ancient Israelites. 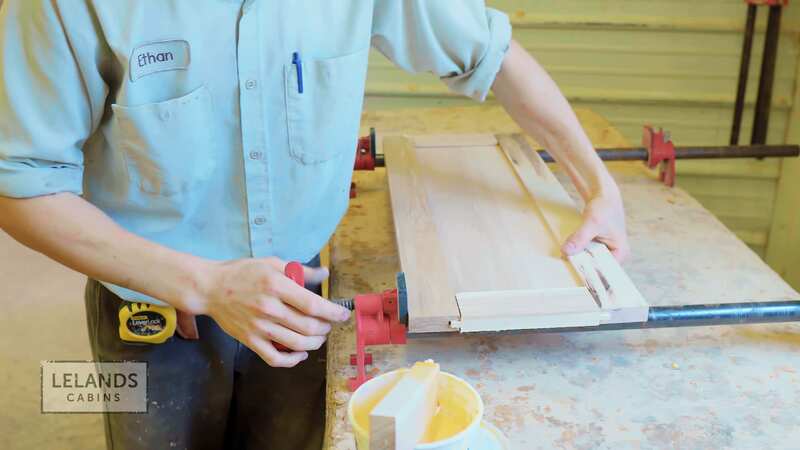 Our craftsman uses this type of joint, along with dado joints and cope and stick joints, to bring the wood together into a final set of cabinetry that is stable at every level, from its overall shape and construction to a stability and strength that result from perpendicular angles in the wood grain. 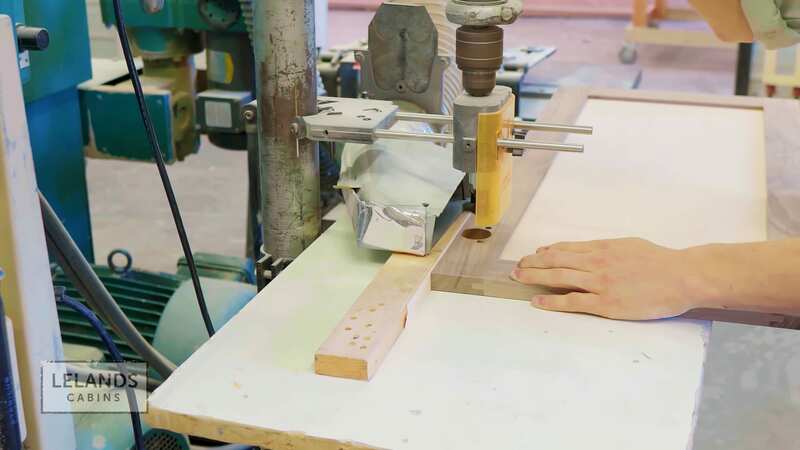 Although these techniques have a vast history, the specific construction methods and styles that our craftsman uses are attested to in medieval Swiss and German furniture. The goal of all of these techniques and designs is stability and strength: this is furniture that works. Every structure has sections that need to do their part to hold up the integrity of the whole, and all of the ancient woodworking techniques and joint-types used by our craftsman speak to that goal. 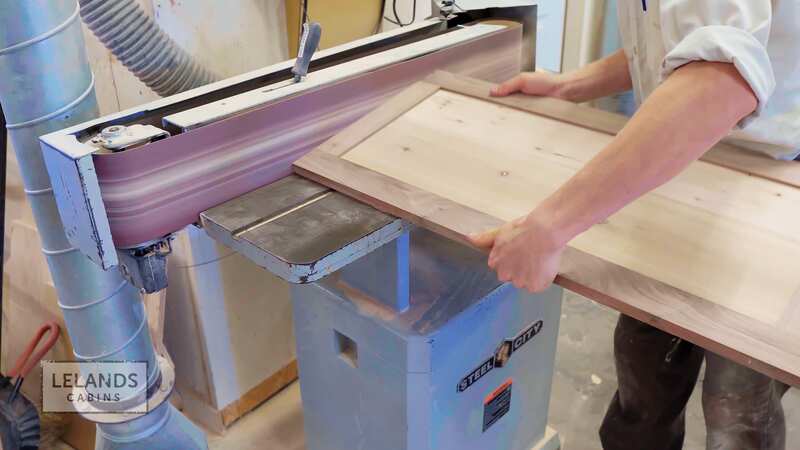 Once the cabinetry is constructed and stable, it still needs to be finished before it can function in a modern kitchen environment, and our craftsman uses a conversion varnish which serves several practical and aesthetic purposes. 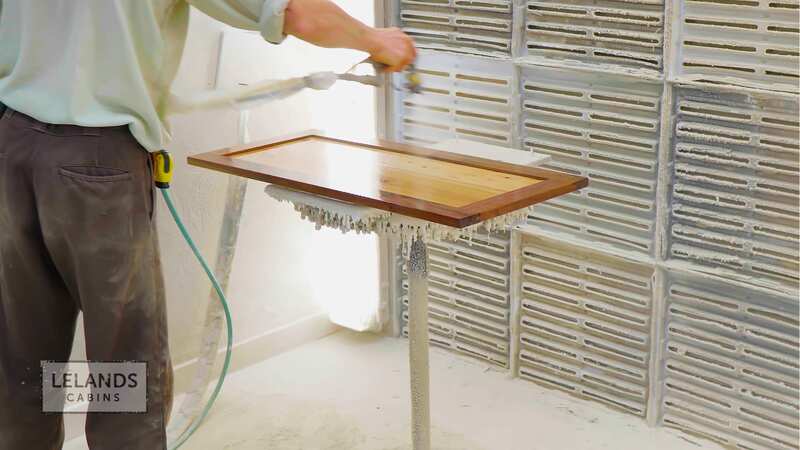 This type of coating protects against outside moisture to ensure that the wood is not susceptible to mold due to spills or humidity, and also regulates the amount of moisture sealed inside of the varnished wood itself, meaning that the fit of the cabinet doors is stable, and the wood doesn’t warp, weaken or split. This varnish also accentuates the natural grain of the wood, showing off the natural geometric pattern that results from the techniques used to construct the cabinet doors and the perpendicular grain angles that result in a strong weight-bearing stability that our craftsman’s work ensures. The cabinets that we use in our cabins are simple, elegant ways to fill your space in a way that will hold up to use throughout the years. Although the construction techniques that our craftsman uses do not vary, the cabinetry we use can still vary according to your preferences for organization and embellishment. Basically, our cabinets work, and whatever your needs are, they can work for you.